​Former Crystal Palace manager Ian Holloway has advised Eagles forward Wilfried Zaha to leave the club if he wishes to fulfil his potential. The Ivorian has enjoyed an excellent season at Selhurst Park, notching eight goals and seven assists in all competitions thus far. His stellar performances in 2018/19 are a continuation of the form he has shown consistently for Palace since rejoining them from Manchester United four years ago. However, Holloway argues Zaha must consider a return to Old Trafford if he is to further his career opportunities. The 26-year-old has been named as ​Crystal Palace's Player of the Year for three consecutive seasons, with the side noticeably struggling when he has been absent. The south London club have not finished in the top half of the ​Premier League table since Zaha's return and Holloway believes that it is time for him to consider his options elsewhere. Speaking to ​talkSPORT, the ex-​Leicester City boss said: "I’ve never worked with someone as talented as him. It was always about putting those pieces together. When you’ve got the amount of skill Wilfried has, it’s about when to do it. "If they’re going to go to a 4-4-2, they should definitely sign him," Holloway continued, indicating that Zaha would fit perfectly in ​United's set-up. "Is ​Martial a winger or a wannabe number 9? And do you really want to play ​Rashford in a wide left position? I think they still have got some issues to resolve. "There was no better thing than seeing Ryan Giggs running down the wing beating people in a Manchester United shirt for years and years. They haven’t really got a winger anymore. Wilf was never given a proper opportunity at United." The Red Devils brought the Eagles man to Old Trafford in January 2013 for £15m. Unfortunately, he struggled for game-time in Manchester and was subsequently loaned out to ​Cardiff City, where he was coached by current United manager Ole Gunnar Solskjaer. 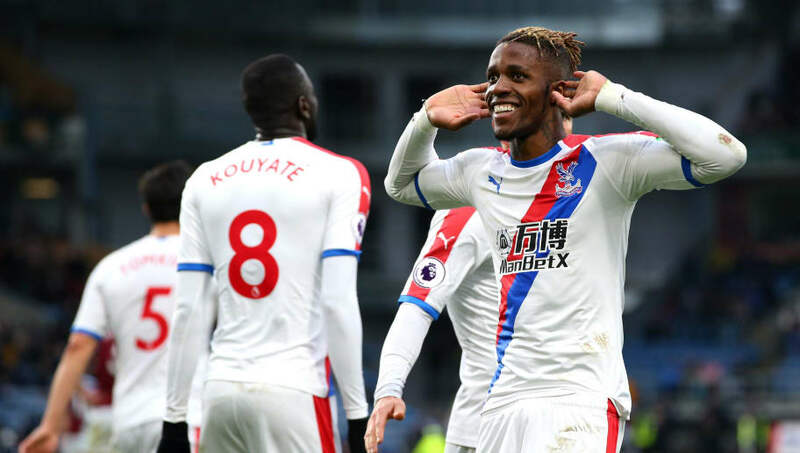 That connection could influence Zaha's decision, along with the fact that he has unfinished business with the 20-time English champions. Holloway acknowledged as much, finishing by saying: "Wilfried has still got that in him, so if I were United I would champion him, and if not maybe ​Manchester City might take him."